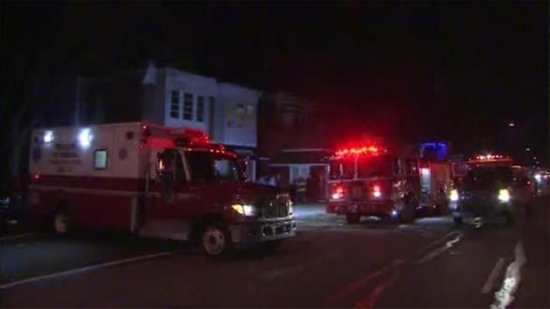 A Philadelphia man was critically injured in a house fire that happened on Wednesday night in Northeast Philadelphia. The fire broke out just after 8 pm on the 1200 block of Cottman Avenue. Fire Crews arrived on the scene and were able to get the fire out in about 10 minutes. A 20-year-old man was taken out of the building and rushed to Einstein Medical Center after he suffered numerous burns to his lower body as well as smoke inhalation. Fire crews and Police are still investigating the cause of the house fire. A Montgomery County man who is a convicted child predator and was also placed on the FBI's America's Most Wanted List has now been located in England. 33-year-old Gerald Zalewski was caught in an underage online chat sting operation back in 2004, and was also brought up on charges for having sexual contact with a 13-year-old girl back in 2004. He disappeared in 2006 after he failed to attend his sentencing hearing. Zalewski was located by the FBI in Lancashire England, after he was arrested for a similar crime and sentenced to 12 years in jail. Zalewski could also face over 14 years in state prison in the U.S. for flight to avoid punishment. Police are now searching for the suspect responsible for a hit-and-run accident that left a 12-year-old boy with serious injuries in Delaware. 12-year-old Bryan Richards, a 7th grader at Gunning Bedford Middle School, was crossing Memorial Drive in Minquadale, Delaware when a driver struck him. The driver reportedly stopped for a second and then continued to drive off. Police have reported that the car is described as a red 2004-2010 Chrysler 300. Richards suffered a fractured skull and two broken legs from the incident and is currently in stable condition at Alfred I. DuPont Hospital for Children. Police say that a $20,000 reward is being offered for any information that leads to an arrest. The Flyers play at home tonight against the Oilers. Today, Moslty Sunny with some clouds and a high of 44 degrees in Center City.